Scott & Shannon Peck are love & relationship experts who are passionate about helping you find your soulmate & lasting love. 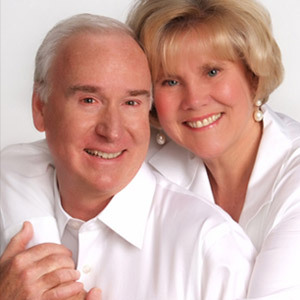 The Pecks are co­authors of many books on love and healing, including their best­seller, “The Love You Deserve.” Shannon is also the author of “Love Heals: How to Heal Everything with Love.” Scott & Shannon are also co­founders of The Love Center, a non­profit educational organization where they have developed & taught many ground­breaking programs to create a world with more love. The Pecks are former co­hosts of “Love Talk,” their one hour live call-in show on Sirius satellite radio. Scott & Shannon have made numerous appearances on both radio & TV as relationship experts. Hundreds of their articles have been published in newspapers & magazines.